Stuffed peppers were one of my favorite meals as a kid. 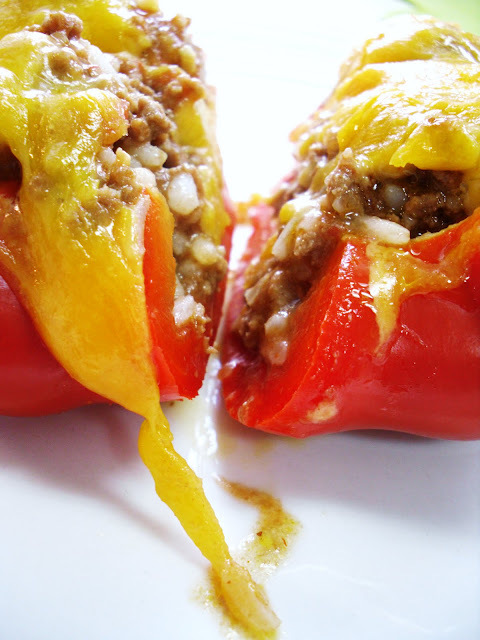 However, it is time to kick up the traditional stuffed peppers recipe a notch with a spicy tomato sauce using chipotle and adobo sauce. This recipe is super easy and super yummy. 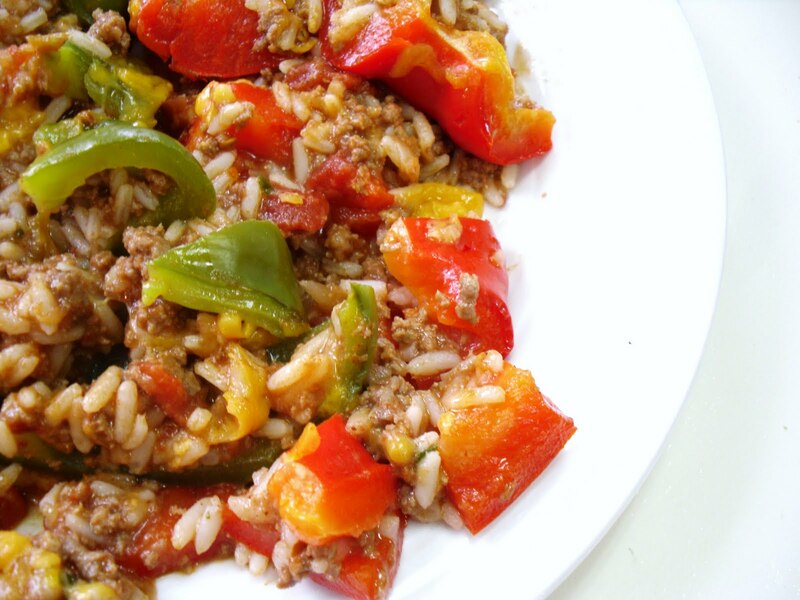 It can also easily be adjusted to be healthier, using ground turkey, brown rice, and less cheese (but I can't say no to cheese). This recipe would be great to have for a Cinco De Mayo dinner or party and would make a great alternative to tacos or another stand-by Mexican dish. The bell peppers should be large and round, as they will be the container for beef, rice, and chipotle goodness. The average person will eat 1-2 pepper halves. This recipe makes 8 pepper halves. Enjoy the few ingredients this recipe requires and the money it will save you! We enjoyed this recipe with a bottle of corona and a lime wedge. 1. Combine diced tomatoes including liquid from can and tomato soup. Dice chipotle peppers either by hand or in mini food processor and add to mixture along with 1-1/2 tbsp adobo sauce from can/jar. Add diced garlic and onion to sauce and stir to combine. Should make a little less than 4 cups. Set aside. 2. Cook beef in a large skillet over medium heat. Drain fat. Add 1-1/2 cups of sauce to beef and simmer for 10 minutes. 3. Add cooked rice to beef and sauce mixture. Add another 1-1/2 cups of sauce to beef and rice. Mix thoroughly to combine. Add chopped fresh cilantro. 4. Boil salted water in large pot. Slice bell peppers in half lengthwise and remove membranes and seeds. 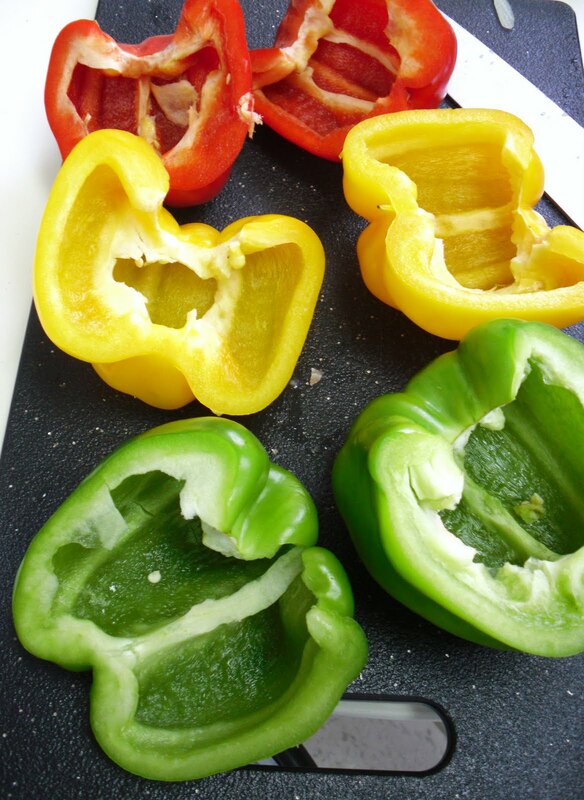 Boil bell peppers for 4 minutes, remove, and allow to drain/dry before stuffing. 6. Stuff peppers until they are at-capacity with beef/rice mixture. Top with cheese, divided evenly amongst all peppers. 7. 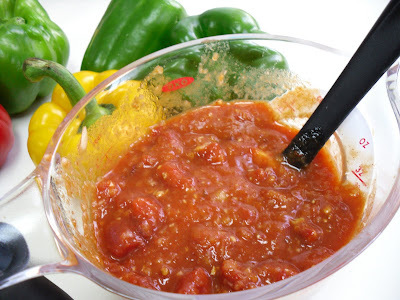 Bake peppers on a cookie sheet or shallow baking dish for 25 minutes. Allow to cool slightly before serving.